Just a quick update on HERO. 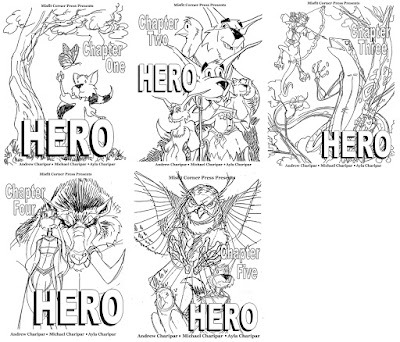 These are the covers sketches for the first five mini comic previews. 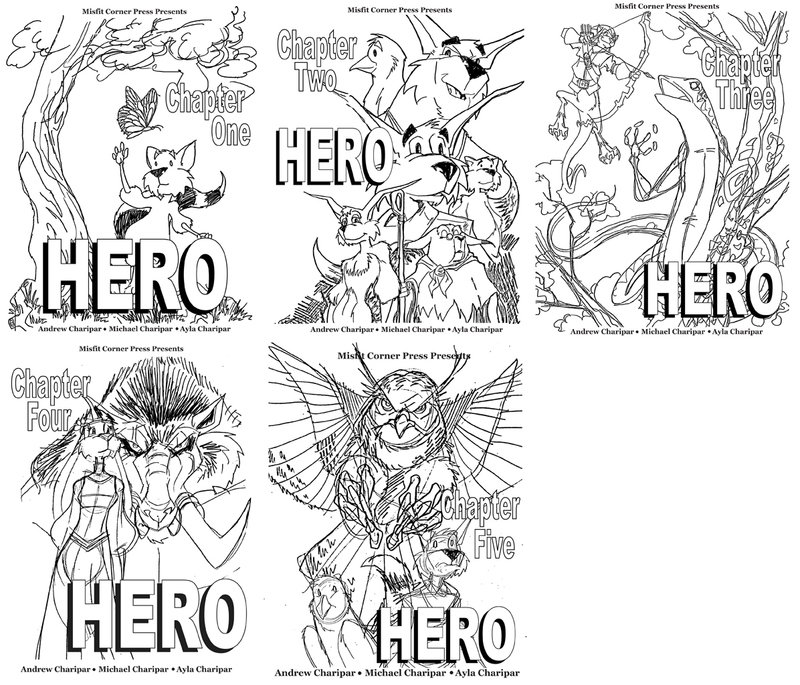 We have finished Chapter 4 and have completed 90 pages... Penciled, Inked, Gray Toned, Lettered AND Edited. We have started working on Chapter 5: Where everything goes wrong!